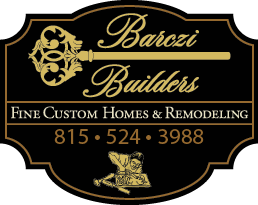 At Barczi Custom Homes, we’ll be happy to assist you with any aspect of design or architectural rendering. However, some of our clients employ their own designer and we’re happy to work with whomever you choose. We work with your architect or ours to develop your vision in harmony with all aspects of your style preferences, site location and personal lifestyle. We make sure to work in concert with your vision while staying true to the style of the home and your budget. of a custom estate a reality. Our designs include incredible amenities such as gourmet kitchens with granite countertops and butler pantries, spacious bedrooms with gleaming Jacuzzi-size baths, and distinctive landscaping that looks natural and organic to the house. From time-honored traditional to contemporary architectural trends, from Mediterranean, French Country to distressed Old World style, we’re well known and we’ve built them all. When you make that life-changing decision to custom build your home, choose a builder who focuses on your fulfillment and complete satisfaction.